You might not know his name, but you’ll know his face. With his charisma, his imposing stature and singular physique, Ron Perlman – who made his breakthrough in Jean-Jacques Annaud’s Quest for fire – is one of the most recognizable actors in Hollywood. He’s also mad about cigars. Ron Perlman: I found the story really funny. The director, Antoine Bardou-Jacquet, and the screenwriter, Dean Craig, managed to combine real events – the space race and the Vietnam war – with a far-out, sixties, Austin Powers-style tone. This combination gives the whole thing an absurdity that immediately appealed to me. It’s a crazy story: a CIA agent who tries to hire Stanley Kubrick to film a fake moon landing! I was 19 in 1969, I was just becoming an adult, so it also brought back quite a few memories. R.P. : It was my very first film and it was really challenging. The conditions were extremely difficult. We shot most of the film in extreme temperatures, just wearing animal skins, practically barefoot. To put it simply, it was make or break. Jean-Jacques could have become my worst enemy, but he became a great friend. I have huge admiration for him. And I worked with him again on The Name of the Rose and Stalingrad. They are three of his best – and my best – films. The IADC: Is it true that he insisted that you act in Stalingrad, whereas you wanted to retire? R.P. : I had spent several years working on uninteresting projects. And I had fallen into all the traps that come with a bit of success: I had a certain lifestyle, I bought a house, etc. And then, the phone barely rang for three years. Things were really starting to look bad for me, something had to give. And suddenly, Jean-Jacques invited me to dinner. I had no idea what he was working on and he told me that he had written a part for me in a movie he was making with Jude Law. It changed my life. I went from thinking I had to start over from scratch, to having a second chance. This collaboration with Jean-Jacques – the fact that he trusted me so much – gave lots of people faith in me. I see him as one of the guardian angels of my career. The IADC: People smoke just about anything in Moonwalkers, but you have a passion for cigars. When does that date back to? R.P. : When I was 20, my best friend at the time – who has passed away now, with whom I studied with in the Bronx and who became my children’s godfather – had a taste for the finer things in life. We used to drink great whiskies and we started to appreciate the wonder of a good cigar. I would smoke a cigar from time to time. And then, about 20 years ago, I wanted to quit smoking cigarettes so I focused on cigars. But only the best! Nowadays I smoke four a day. The IADC: Do you have any favorites? R.P. : I’ve never tried anything that beats a good Cuban. I like their strength. I love Hoyo de Monterrey’s Epicure N° 2, for example. But my everyday smoke is a Nicaraguan: Joya de Nicaragua’s Gran Consul. It’s the perfect cigar; full flavored with a great blend. And its construction is ideal. I’ve never smoked a bad one, whereas I’ve had quite a few problems with havanas, and with cigars in general. But never with a Joya. They’re reliable and they’re great value for money – which is good, because I smoke a lot of them. The IADC: Have you ever been to Cuba? R.P. : I went for the first time six months ago. I even have a project with my production company and the Cuban government to make a film there. Although the embargo is still in place, relations between Cuba and the USA are cooling. Things are changing – at least I hope so. When everything gets back to normal, I hope to spend quite a bit of time over there. 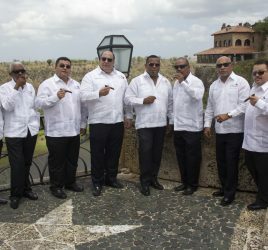 It’s an extraordinary place, with real energy, which combines my three passions: food, cigars, and music. Cubans have a lust for life that goes against the very idea of communism. They have a sense of freedom, whereas their political system should have made robots of them, with no way of expressing themselves or striving for excellence. Their mentality was a real revelation for me. 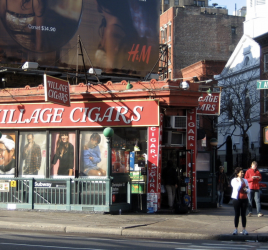 The IADC: Does any particular cigar stand out? R.P. : I’ve tried so many… As I always say: “Some people meditate, I smoke cigars.” It’s the best way for me to find myself. Smoking a cigar stops my hands from shaking. Smoking a cigar prevents me from punching people in the face when they get on my nerves. Cigars calm me down. Their smell, their taste… And they are the best partner for a good cocktail or a glass of brandy. I’ve got quite a few Cubans in my humidor and I smoke one on special occasions; when my career takes a new direction, or if there is good news in my family. 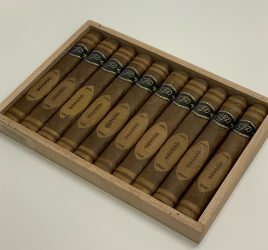 When Guillermo del Toro told me that Hellboy was going to get made and that I had the lead role – after a seven-year battle with the studios and whereas I had done everything to discourage him, saying that he had no chance – I smoked a Hoyo de Monterrey Double Coronas. That was a special moment! The IADC: What type of smoker are you? R.P. : In New York and in Beverly Hills, there are quite a few trendy clubs where celebrities who smoke cigars meet up. I avoid them like the plague. For me, smoking a cigar is not about showing yourself to high society. It’s very personal. I smoke at any time of day, on my own, and I don’t need company to give it meaning. RON PERMIAN was born in New York in 1950. He started out on Broadway before being spotted by Jean-Jacques Annaud, who made him a star with his epic about cavemen, The Quest for fire, in 1981. The actor then featured in increasingly impressive appearances and roles: The Name of the Rose (Jean-Jacques Annaud, 1986), Romeo Is Bleeding (Peter Medak, 1993), The City of Lost Children (Jean-Pierre Jeunet, 1995), alongside Brando in a remake of The Island of Doctor Moreau (John Frankenheimer, 1996), and Hellboy (Guillermo del Toro, 2004), where he played the title role, heavily made-up with a cigar in his mouth… He has also lent his gravelly voice to numerous cartoons and video games. And soon he’ll be back in the third installment of Hellboy, in 2017, as well as starring in David Yates’ Fantastic Beasts and Where to Find Them, based on a screenplay by the creator of Harry Potter, J.K. Rowling.